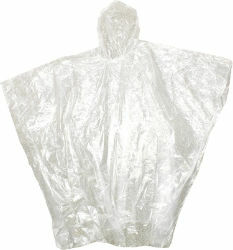 Clear 4MM Polyethylene Poncho with attached hood. Sealed Side Seams. Water Repellent.